We finished off this term with reels for both FluteFling classes. The Improvers group learned one of my favourite Irish reels, The Otter’s Holt, composed by County Clare fiddler Junior Crehan. This completed a set of three tunes: The Maids of Mount Cisco and The Sailor on the Rock being the others. Originally entitled Poll an Mhadra Uisce, (The Otter’s Den), there is some discussion of it over at The Session. Matt Molloy may have been one of the first people to record it on his debut solo recording and The Bothy Band (with whom he played) also featured it on Old Hag You Have Killed Me. Both were released in 1976 and both are excellent and highly influential recordings worth checking out. Meanwhile the Beginners class learned the Shetland reels Lay Dee at Dee and Da Ferry Reel. Usually we would cover hornpipes before tackling reels, but the structure of these tunes is similar to hornpipes and suited us well. These tunes also were covered by the SMG whistlers and more information can be found on the tunes in this earlier entry. All resources can be found at The Flow. Summer Term for FluteFling will consist of 5 classes for both groups and begins on Thursday 18th April with the Improvers class, Beginners resuming on 25th April. Booking details will be up soon; check the diary for the dates details. The Scots Music Group whistlers, after some encouragement from John, opted to perform in the recent student concert alongside other student groups and tutors. 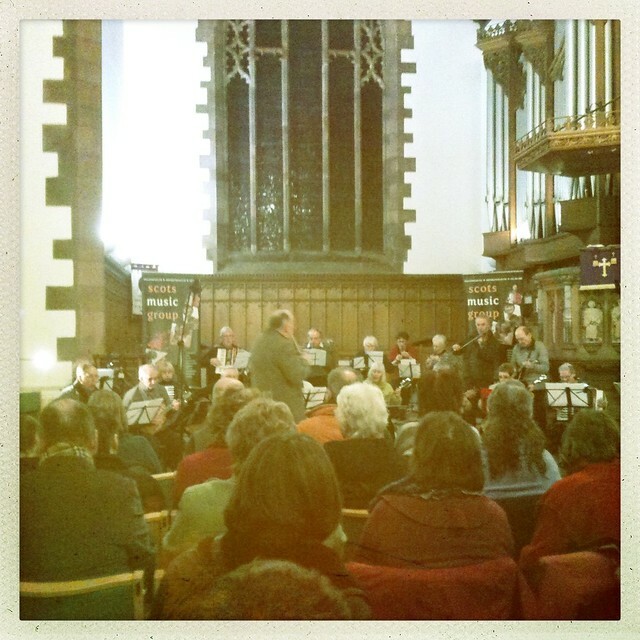 A mixture of marches and song airs, the two sets of tunes had a very lyrical feel. There was some very positive feedback, in particular relating to the arrangement for three whistles of Da Day Dawn, which seemed to fit the atmospheric church setting well. There was quite a buzz at the event, particularly backstage, where as many as six different groups could be warming up at once. It was great to see so many people there and while I completely appreciate that there are many reasons to learn and play music, performance can help to focus and discipline one’s playing. I’ll bear that in mind for the Tutor’s Concert at the end of April. There was just one class left over from a cancelled one and we learned an Irish jig, The Idle Road. We haven’t done many jigs and this one has some sprightly and rhythmic octave jumps that stand out but can be tricky to tackle. I believe that the tune is sometimes taught to fiddlers to help work on bowing technique. There don’t appear to be many recordings of the tune, although there are some Youtube examples. A few different versions of the tune exist and can be found online, for example at Tune Archive and its previous incarnation, The Fiddler’s Companion. The jig is also known as The Winding Road and both are a translation from the Irish for a road that is indirect. I haven’t recorded this tune yet, but a version I taught at last year’s FluteFling day workshop can be found in this PDF. Please note that I have corrections to make to that document. Summer Term: The Scots Music Group resumes for a 6 week term on Wednesday 17th April. Booking is through their web site. 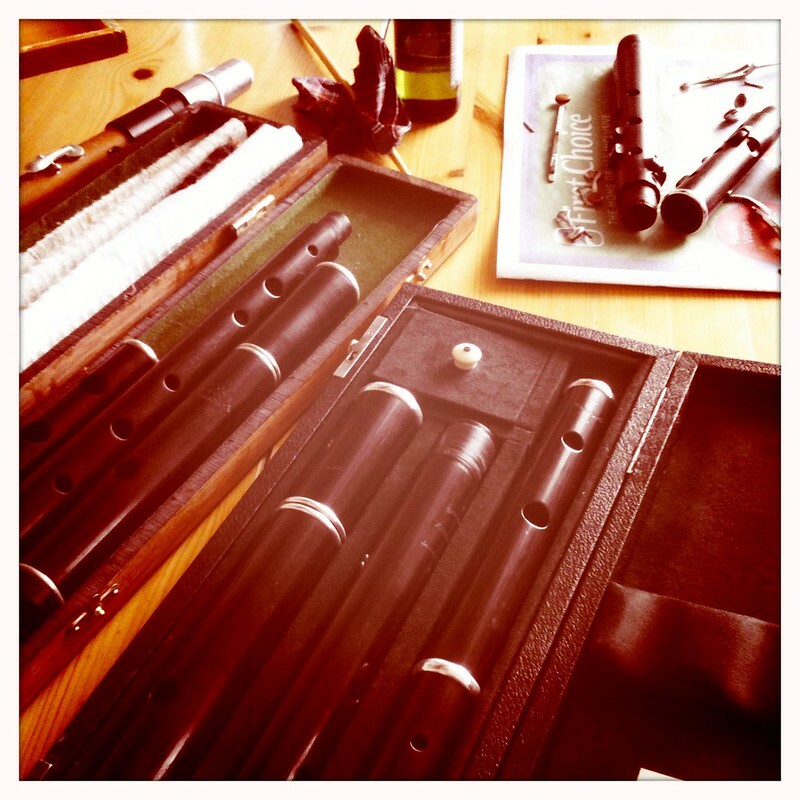 This entry was posted in classes, Community, FluteFling, Scots Music Group and tagged flute, improver, Irish, portobello, reel, tin whistle, traditional music. Bookmark the permalink.